Home News Drug dealer who jumped out of a window naked in a bid to dodge police after his £1.7m drugs empire was discovered is jailed for 20 years. Drug dealer who jumped out of a window naked in a bid to dodge police after his £1.7m drugs empire was discovered is jailed for 20 years. A drug dealer who jumped out of a window naked in a desperate attempt to evade police after his £1.7 million drugs empire was discovered has been jailed for more than 20 years. 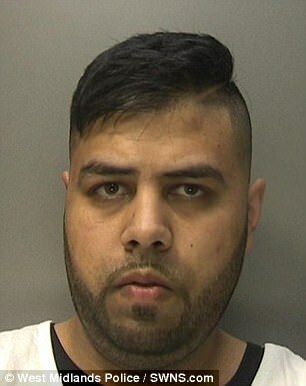 Mohammed Asif, 30, jumped from the first-floor window of his house in Smethwick, West Midlands, and landed on a wheelie bin but was detained outside. A search of the property in the early hours of May 26, exposed Class A drugs, scales, tens of thousands of pounds in cash and ammunition. 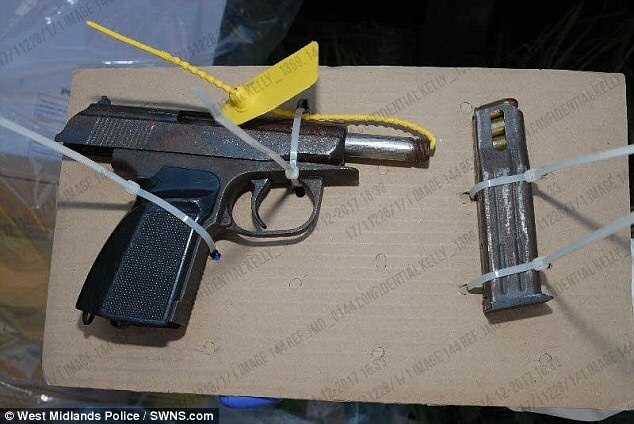 Officers recovered a haul of heroin, cocaine, Spice Mamba and guns following the operation which also saw Asif's car and linked properties raided. 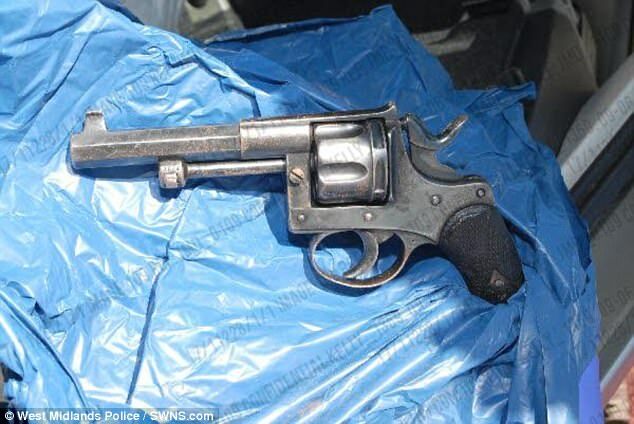 In total, eight firearms and 200 rounds of ammunition were recovered during the swoops. Just over £50,000 in cash was also seized. Married taxi driver Asif pleaded guilty to possession of drugs with intent to supply along with possession of firearms and ammunition. He was sentenced to 20 years and 10 months at Wolverhampton Crown Court on Thursday. Prosecutor Nicholas Smith told the court how more than £60,000 worth of cocaine and heroin was hidden in various places throughout Asif's address along with a large collection of mobile phones, face masks, knives and digital scales. A bag with more than £45,000 was concealed behind the cushions of a settee. Two sets of car keys were discovered during the search which Asif said were both for the Skoda parked on his drive but only one opened it. A simultaneous raid was carried out by police at another house occupied by tenants but linked to Asif, where there was another Skoda. The haul included three revolvers, two of which were loaded and ammunition for the third. There was also a shotgun and cartridges, a Taser stun gun, blocks of heroin with a street value of £1.2m together with a large amount of cocaine, material capable of producing a batch of the synthetic drug Spice valued at £50,000 and around 200 rounds of ammunition. Detective Constable Victoria Brown, from West Midlands Police, said: 'A lot of diligent police work by the Sandwell Neighbourhood Taskforce enabled us to identify Asif as a key player in the supply of drugs in the region. 'We managed to seize a substantial amount of high value Class A substances which were destined to flood the streets along with guns with the potential to cause harm in the wrong hands. 'Asif was so desperate to avoid being caught that he was prepared to jump from a first-floor window with no clothes on. 'He was also caught with his pants down at court as the weight of evidence against him led to a lengthy jail term.